The mission of the Central Ohio Pride Softball Program is to mold our teams into not only great athletes, but also great young women. The discipline we learn from our softball experience will extend into our daily lives and the success we achieve from our hard work and perseverance through adversity will teach life lessons that will extend far beyond the diamond. Central Ohio Pride is committed to creating a sense of sportsmanship, teamwork and we promote positive social, emotional and physical development in our players. It is also our goal to help create memories that will last these young women throughout their life. Central Ohio Pride Softball is committed to making champions. - Our goal is to create exceptional softball players ingrained with an understanding of the skills, fundamentals and heart of the game and use softball as a catalyst to build a strong personal foundation in character, integrity and education. -The Central Ohio Pride Softball mission is to show players not only skills to play the game but life skills as well. Our coaches are committed to creating sportsmanship, teamwork and confidence in each player. The skills we learn will take us far in life. Central Ohio Pride will do everything in their power to mold the girls into collegiate players. - I feel that Central Ohio Pride helps improve and highlights the capabilities of their athletes. Central Ohio Pride stands for good sportsmanship, attitude and respect for self and others. I also feel that the goal of the Central Ohio Pride softball organization is to ultimately secure a collegiate scholarship for each player which will allow us to not only continue playing the sport we love but further our education as well. - Central Ohio Pride, in partnership with athletes and families, is committed to training young players to be the best they can be. Not only on the field, but off the field as well. With hard work and dedication, we are committed to giving our players the best opportunity to play softball at the collegiate level, while teaching them life-long lessons and building lasting friendships. - Central Ohio Pride provides fastpitch softball players a platform to showcase their individual and team skills. We work hard to be the best and have the highest expectation of excellence and success. The level of commitment required is also matched by the amount of fun our girls have while playing the game they love. This organization prepares our ladies as players on the field and as leaders off the field. Our athletes are trained in a collegiate style softball program with emphasis on academics and athletics. Central Ohio Pride is designed to send athletes to the next level! 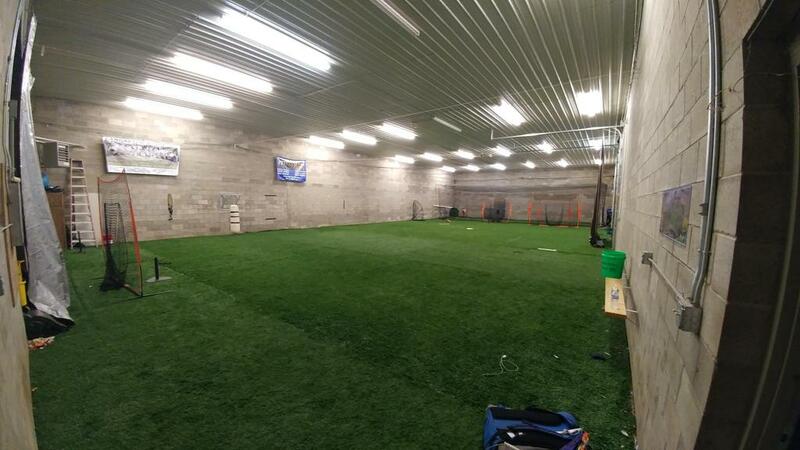 Pride Powerhouse Indoor Facility provides year round fielding, pitching, catching and hitting! Fully turfed and heated with batting cages, hitting stations and pitching lanes!